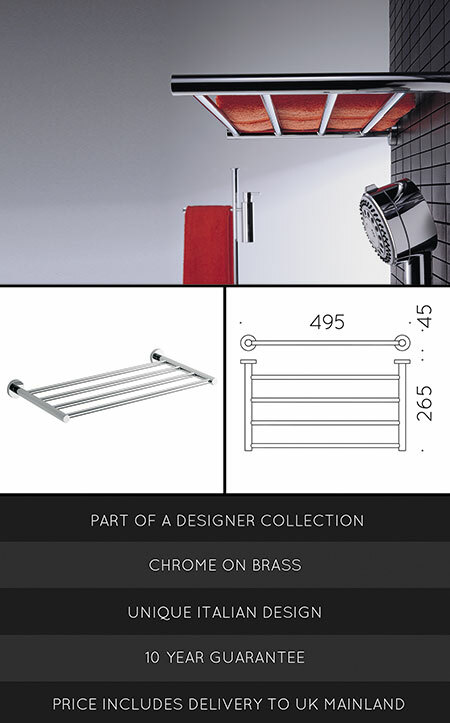 Luxury wall mounted towel rack made in superior brass with a chrome finish. Ideal for easy access towel storage within a bathroom or shower room areas. Italian styled and covered with 10 year corrosion free guarantee. * Best quality in the UK.